If you have an acting audition coming up, it's important to give it your best. Sometimes we even give it our best, but we destroy our chances at getting the part because we lacked the preparedness in another area. At the New York Acting School for Film and Television, we want to equip you for success. We offer acting classes and coaching for anyone looking to better their acting skills and performance. 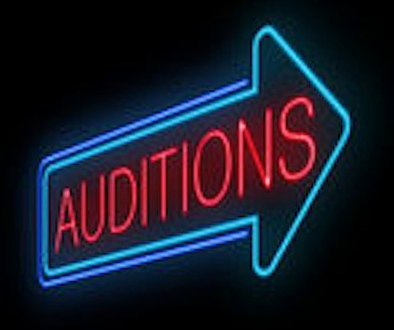 However, today, we'd like to share with you 5 tips to fully prepare for any acting audition. I know this seems like a given, but you'd be surprised to find out how many actors just have no sense of time. Audition time slots are limited, pass quickly and are scheduled at odd times like 2:50 or 10:05. When they call you to be there, be there early. Being late will definitely leave an impression, but not the one you are hoping for. First of all, I want to clarify that you are not the writer. Many actors feel the lines should be re-written, but that's not your role, and it's offensive to the actual writer. Simply memorize your lines. This might seem obvious, but there are too many actors who learn a few of their lines and then try to wing it (accidentally rewriting them) and fail miserably. Please spend the needed time preparing your lines. Don't just prepare what you’re going to say, but also how you’re going to say it. Are you listening? .... really listening? This isn't high school, it's a job that's contingent upon people being able to take direction. So listen to what you are being told. Sometimes the casting director, writer or director will give you a bit of direction before or during your audition on a particular line. Listen carefully to what they’re saying and take the time you need to process it. Don't panic, if it’s during an audition, they will usually be happy to give you a few minutes to incorporate the new direction into the lines. So ask for it if you need it. They'll respect your effort more than you ignoring it all together. It is incredibly annoying to get a head shot that looks nothing like the actor that showed up. Don't be that actor. Please, make sure your head shot accurately portrays who you are right now. If you’ve gained weight, cut or drastically dyed your hair, or aged, then you've got to make sure your head shot shows this. Your head shot isn't the one getting the job and you won’t either if you look totally different than the face people were expecting to see. Actors who dive into a reading can be really fun to watch because they are being totally genuine and transform themselves into a character. When you are able to fully commit to the scene you're playing, you'll show the casting directors that you should be considered above the rest because you perform with authentic passion and aren't limited by nervously holding back. Write those down on a sticky note if you have to and hold your head up high. Come to The New York Acting School for Film and Television and let us know how we can help you further succeed in your career.